How Will an Annuity Be Affected in Bankruptcy? When faced with bankruptcy, a person needs to explore all assets and how those assets will be leveraged to pay off creditors. 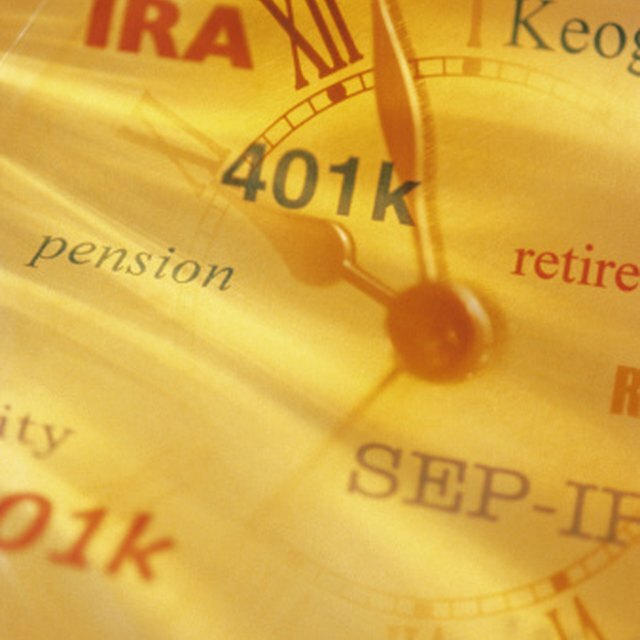 An annuity can be opened as an IRA or supplemental retirement annuity available without tax penalty after age 59 ½. How an annuity is opened will determine how it is affected in bankruptcy. An IRA annuity, or individual retirement arrangement, allows a person to take earned income and place it in a tax-sheltered account. Bankruptcy courts view IRA accounts as the means a person will have to support her basic expenses during retirement. So as to not burden the state at a future point in time with supporting a person, IRAs are not considered an asset that bankruptcy courts can assign to pay off debts. If an annuity is not an IRA, things become complicated. Many annuities are used as supplemental retirement plans or may be the only retirement plan a person has. These accounts may be funded by inheritance, gifts or even savings if a person has not established any other retirement fund. As such, they are more often than not exempt from bankruptcy claims as long as they are used in the capacity of a retirement account. Some investors open an annuity and get tax-deferred growth on the funds within it, use it as a tax shelter. If a bankruptcy court can show that an annuity is not being utilized for supplemental retirement funds, it may be able to assign debt to the asset. A person who places all assets into an annuity and is over the age of 59 ½ may also have debts assigned to the annuity income. Are IRAs Tangible or Intangible Property? When a debt is assigned to the annuity, it does not liquidate the annuity in entirety to pay off the debt. Instead, the bankruptcy court must establish the income received from the annuity. Once income is established, an income assessment is made to ensure the person filing bankruptcy has adequate income to not become a burden to the state. Once this is established, the remainder of the monthly income can be used in part or entirety to pay off debts and liabilities. Each state has its own set of rules regarding how annuities can be used to pay off liabilities and bankruptcy debts. Florida exempts annuities regardless, for example, while Pennsylvania only allows $100 of monthly annuity proceeds to be exempt. North Carolina does not offer exemptions. Check with your state insurance commissioner’s office to fully understand how your annuity will be affected by bankruptcy.